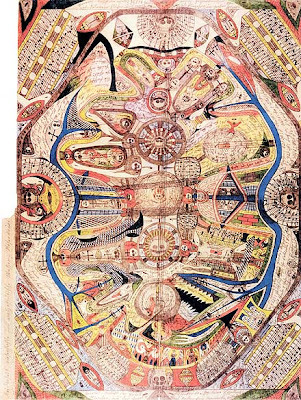 The encounter between art and psychiatry began about 100 years ago. Emerging in the framework of social, cultural, scientific, and economic progress, psychiatry reflected a new approach to understanding humankind, one in which human beings came to be regarded less and less as the product of divine intervention or social fate, and more as individuals with personal histories, rights, and potentials. Around the same time, the avant-garde, in the course of overcoming canonic concepts of art, became interested in non-European and nonacademic forms of art, including the work of van Gogh and Henri Rousseau, African sculpture (which influenced cubism), folk art (which influenced Russian futurists and Marc Chagall), children's art (which influenced the Blue Rider -- Der blaue Reiter -- movement in Europe), and the art of the mentally ill (whose importance to modern art was pointed out by the artist Paul Klee as early as 1912).